Promoting Modular and Portable building industry. Members supplying components and services. Search facility to find a supplier. 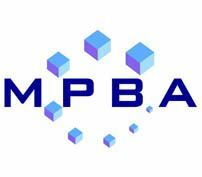 Working on behalf of our Members and Associate Members, the MPBA is an association with the objective of promoting and representing activities of the Modular and Portable Buildings Industry. Our full members are all directly involved in the Modular and Portable Buildings industry and our associate members are businesses are directly involved in the supply of services and component products to the industry. On our website you will find detailed information about our members and associate members, their products and services and a whole host of additional information regarding the industry. The site also contains links to our regular newsletters, industry news, technical and event information and details of how to join the association. Please click the link above to visit the site and find out more about the MPBA and what we do. If you are looking to find a supplier, there is a search facility to help you easily find what our members can offer you, simply click the "Find a Member" option. Alternatively you can send us an email and a member of our team will be happy to help with your enquiry. To become a full member of The MPBA, your company must either be involved in the design, manufacture, hire and sales of modular buildings. Visit our website and click “Membership” link for details of the many benefits of becoming a member. This type of membership is specifically designed for companies that have an interest in or dealings with the prefabricated building industry. This option gives organisations or individuals the opportunity to exchange ideas and meet with other members and share industry knowledge and information. Fees and application details can be found on our website for both full and associate membership.